Perfect for daily wear under arc flash suits and coveralls, PIP's Navy Long Sleeve FR Henley gives you an extra layer of ARC and FR protection. Made with 100% FR cotton, this long-lasting henley weighs a surprisingly light 6.5 oz. and meets strict NFPA 70E, ASTM F1506 standards. 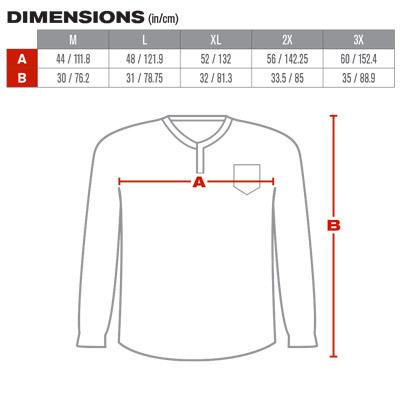 With a level 2 Hazard Risk Category rating, this long sleeve shirt comes with an ARC rating of ATPV 11.8 cal/cm2. Ribbed FR collar and cuffs ensure a comfy fit. Also available in Light Gray and Orange.